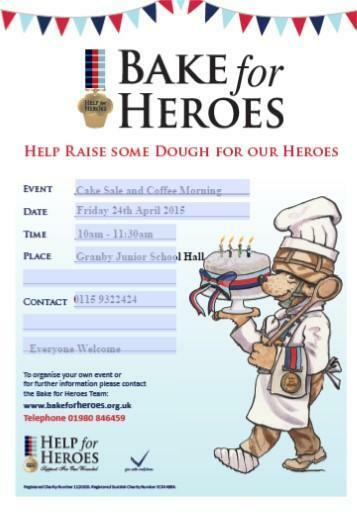 Please join us for our Bake for Heroes Coffee Morning in the school hall on Friday 24th April from 10.00 am - 11.30 am. Donations of cakes very welcome. Children will be able to purchase cakes for 20p each at breaktime. All proceeds to Help for Heroes.